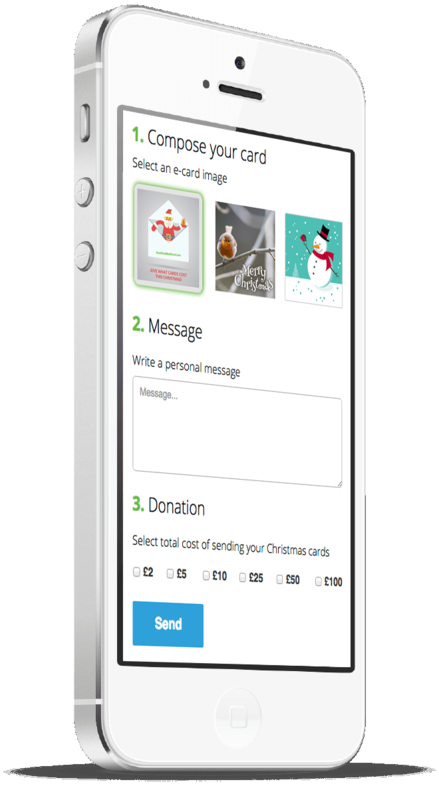 A new e-card venture is helping charities raise funds by letting people send out e-cards, and donate the cost of printed cards and stamps. 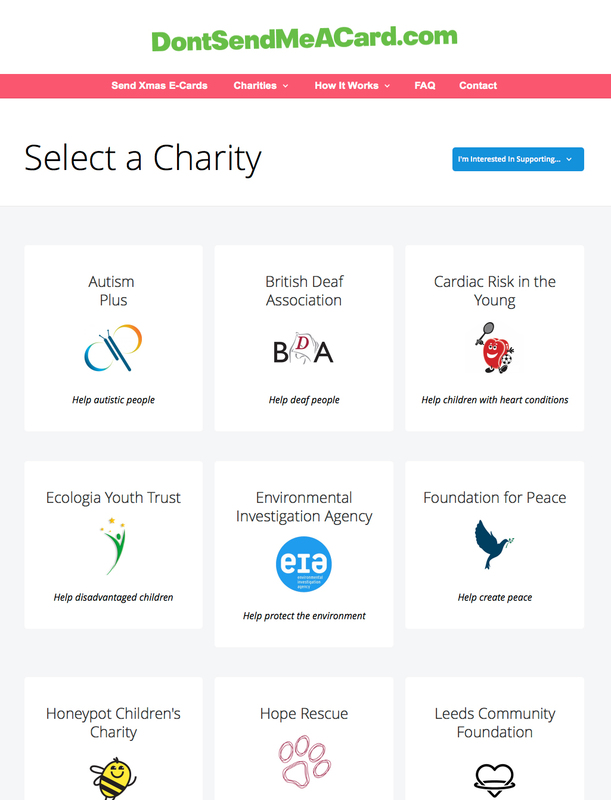 DontSendMeACard.com has partnered with over 30 UK charities so far, with supporters of these causes making individual donations as high as £100. 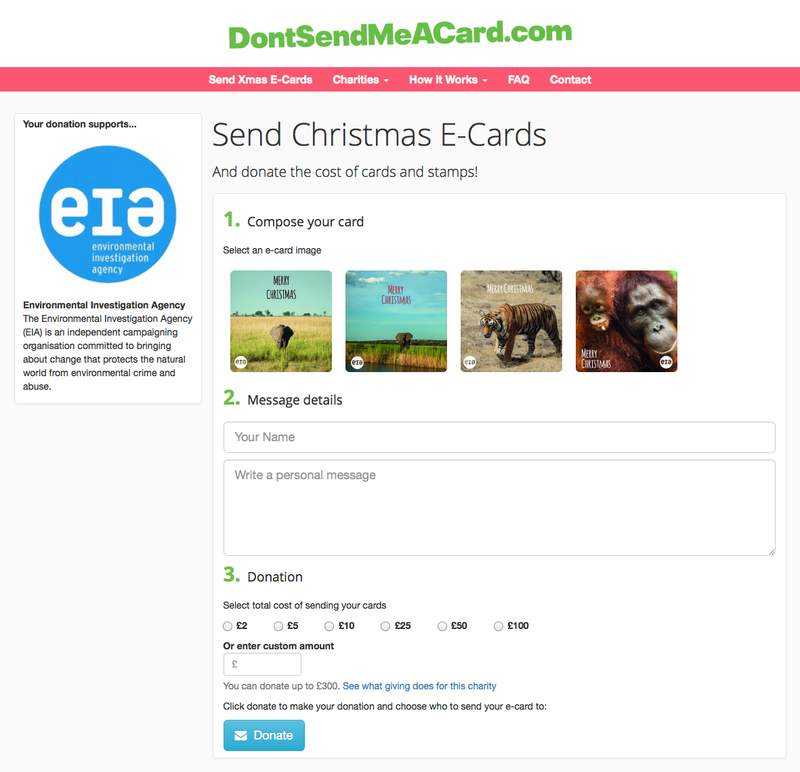 People can support the likes of Cardiac Risk in the Young, Dorset Wildlife Trust, Environmental Investigation Agency, and WESC Foundation, by sending e-cards in lieu of cards. 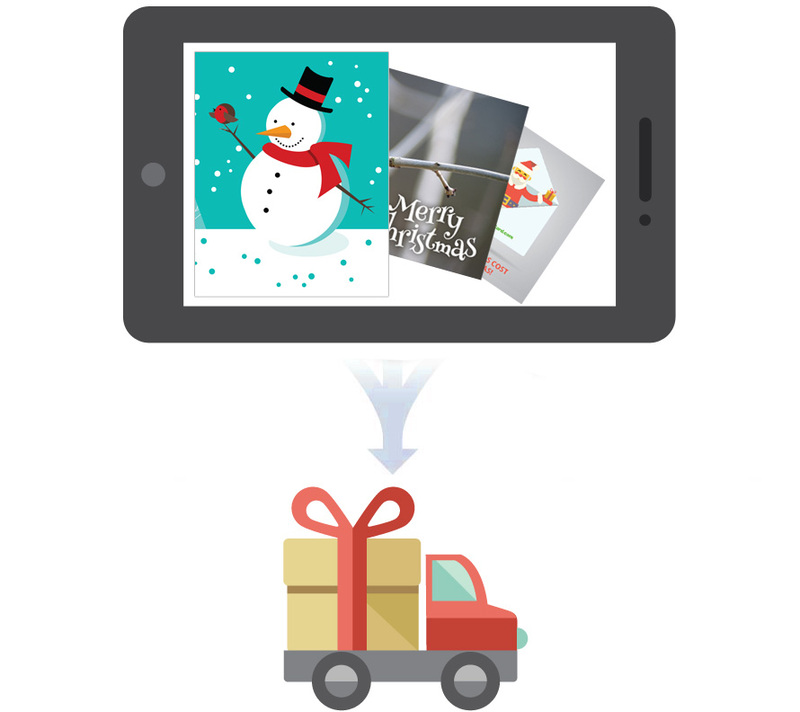 It works by choosing a charity, composing an e-card, and donating the amount that was budgeted for greeting cards for that occasion. 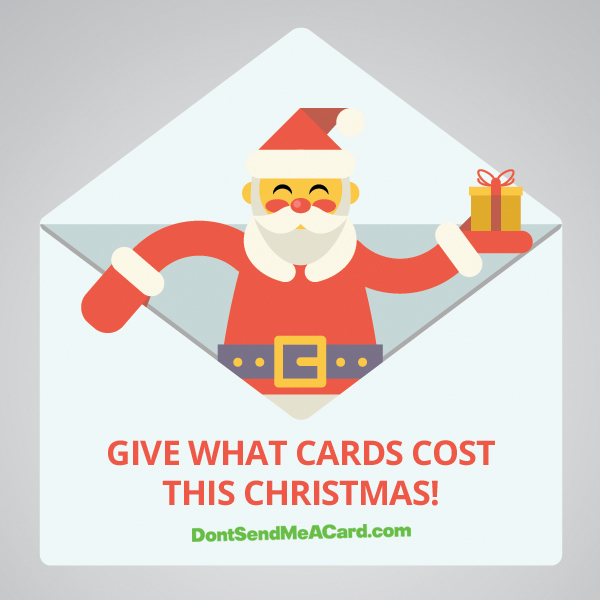 Recipients then see that the sender donated and are invited to do the same. Alex says, "Our ultimate objective is for our users to create a follow-on effect of e-cards and donations. By one person deciding that this is a good idea, it results in their network seeing that they donated and being invited to do the same, and so on." 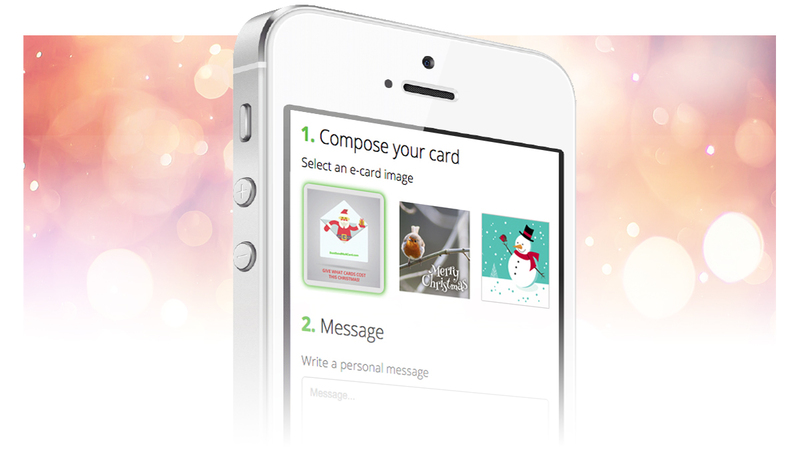 With a billion cards estimated to be dumped or burnt after the festive season2, the website is well poised to offer an environmentally conscious solution to sending Christmas wishes. Alex concludes, "It's a convenient way to strike something off your to-do list and feel good about contributing to a cause that relies on donations."